After we took the summer break we are ready to continue at full steam with free football tips today. 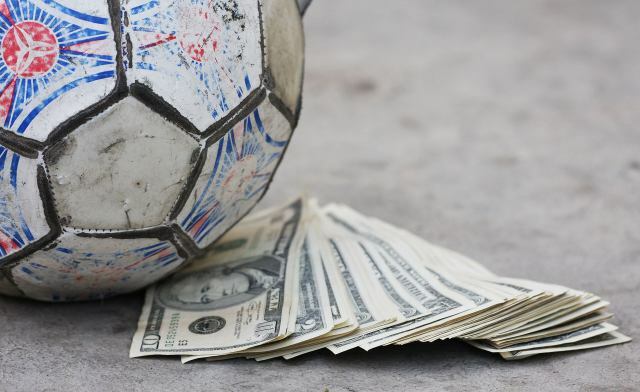 Our tipster picked three medium risk matches from Indonesia 1 League and NPL Australia. They suggest to go over the analysis for these free football tips today and plan your bets wisely. Good luck to all who follow our free football tips with analysis. Today’s meeting between the strongest teams host Semenpadang and Madura United . In recent years when they met these two teams have scored at least one goal. Therefore, our prediction would be for hits in both doors. Our favorite are the guests, but our goal to score more appropriate auto Forecast for me. Both teams will fight for victory and will not daat so easy. We expect match full of goals and the two doors. You may also try this meeting over 2.5-3 goals. Oakleigh Cannons meeting Green Gully SC at home in game for Australia VPL. Oakleigh Cannons is 13-4-6 vs Green Gully SC is 11-5-7 season records overall. The guests lost the last two games and the team is not feel it so confident at the moment and victory for the hosts here is a good as reason we think. Oakleigh Cannons is a better team and the team with solid numbers at the last home games 4-0-0 inthe last 4 games for the team and the team on Green Gully SC lost the last two visits exactly so the team can lost again here. This is the second of two matches from the Indonesian strongest league who will be played today and is certainly here and we expect a lot of goals here, somehow is completely realistic, because tradition says that to be the case, but we’ll see. So Persela Lamongan is a team who is two years ago the last time played against this rival and then it was 1-1, and normally it is important to say that those in four of the previous five matches against Persiba Balikpapan played with two or more goals , 1-1, 0-2, 5-2, 1-0 and 2-1 and I have no doubt that this match will be similar. Note that these free football tips today from Indonesia 1 and NPL Australia are written from different tipsters. Also note that we DO NOT claim these and 100% secure or fixed matches.